Portugal, the homeland of Magellan, is ironically far from being a popular destination for Filipino immigrants. Although no reliable statistics are available, the number of Filipinos in this country of 10. 5 million people is still far below that of other European countries with significant Pinoy communities like the United Kingdom, Italy or Spain. Portugal was a global powerhouse in the 15th and 16th centuries, with an empire that stretched from Brazil to East Timor, but it’s currently one of the poorest countries in Western Europe. Financial problems are making it an exporter rather than importer of manpower, thus driving thousands of natives away and discouraging many immigrants (including Filipinos) from coming. But Portugal has many things in common with the Philippines. It was under a dictatorship between 1932 and 1974. The Salazar dictatorship effectively lasted from 1932 until 1974, which isolated the country from the rest of the world. When Portugal embraced democracy, the population was both poor and uneducated. Joining the European Economic Community (now the European Union) in 1986 enabled the country to narrow the gap separating it from the most developed countries of Europe. It became one of the founding members of the euro-zone, or countries that share the euro as common currency. Portugal has always been a nation of emigrants, and like the Philippines, it has a global diaspora. Most Portuguese immigrants are concentrated in Northern Europe, particularly France, Germany, Switzerland, UK, as well as North América. 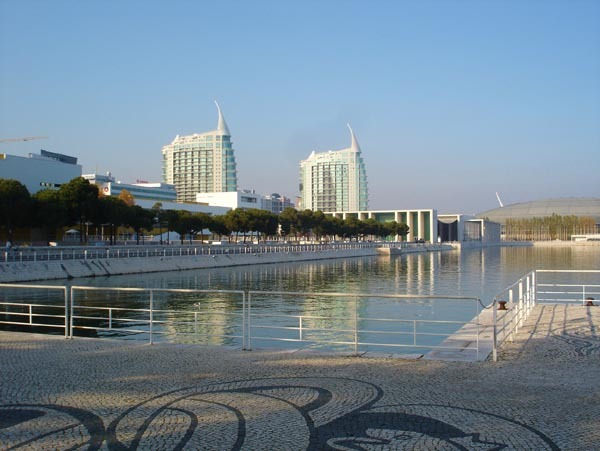 Portugal reversed that trend and became an attractive country for immigrants during the ‘90s and the early years of the 21st century, when its economy was growing and it received plenty of European funds to develop its infrastructures. Portugal suddenly became a bit multicultural, with workers arriving from the former Portuguese-speaking colonies in Africa, Brazil, and from Eastern Europe. Asian immigrants mostly from China are visible these days around the capital, Lisbon. Very few Asian immigrants are Filipinos, although their number is steadily growing and the Portuguese-born second generation is already evident. There’s now a Filipino-Portuguese Association. The Lisbon-based Philippine Embassy is headed by Ambassador Philippe Jones Lhuillier. It is a far cry from when I was growing up in Lisbon in the ‘80s, when you could count the number of Filipinos with the fingers of your hand. My mother, a native of Batangas city, came to Portugal in 1976 after marrying my Portuguese father. I was born in Lisbon in 1980. In primary school, to my dismay, kids called me the “Chinese boy,” which reflected the fact that Portugal was pretty much a homogeneous country back then. I had a full Portuguese upbringing and had little contact with Filipino culture until I was ten, when my mother sent me to spend the summer with her sister and her family in the United States. I enjoyed my time there so much I went back year after year to bond with my cousins. I also gained tremendous exposure to Filipino culture, thanks to the massive Filipino American community there. In 1997, my mother sent me to the Philippines for the first time to get to know her native country and meet my relatives there. I was supposed to stay for a month but I enjoyed myself so much I ended up staying two. My contact with Filipino culture was made predominatly overseas, but that has changed in recent years, as I started to make my first Filipino friends in Portugal. The opening of the embassy no doubt helped. It has organized events, allowing many Filipinos to meet one another. I've even met Filipino doctors who are working here. Filipinos in Lisbon can now attend Sunday Mass celebrated in Tagalog by Father Jovito Osalvo from the Verbo Divino Seminary, where many of Filipino community gatherings take place. Despite the current economic woes, living in Portugal particularly in the Lisbon metropolitan area, is quite congenial. Portugal has no major security issues. It has a laid-back culture and lifestyle that many Filipinos can identify themselves with. Moreover, it has reasonably good weather all year round, with very warm summers and mild winters. Portuguese is now among the ten most spoken languages in the world, so mastery of Portuguese may open up good opportunities in Brazil and the Portuguese-speaking countries in África--all emerging markets. With its friendly population, long coastline, attractive beaches, delicious cuisine (there is a famous Filipino chef, Rene Sandoval, in Southern Portugal) and diverse geography, Portugal attracts millions of tourists every year, making tourism a key asset of the economy. With its unique riverside setting and cosmopolitan buzz, Lisbon is one of the most exciting cities in Europe to visit today. The city tends to exceed a first-time visitor's expectations because it remains overlooked in favor of other European capitals that are far pricier and over-hyped. During a recent visit to the Philippines, I was most impressed by the seemingly permanent atmosphere of optimism and confidence. I think this is partly cultural and partly due to the good prospects of the Philippines as the new “Asian tiger.” Here in Portugal we should definitely look to the Philippines for some inspiration to help us go through some of the darkest moments in our recent history. But I have no doubt that Portugal has many attributes that can entice many Filipinos to come visit and even settle. Tiago Gutierrez Marques is a Lisbon-based doctor and writer for the specialist medical press. He graduated from the University of Lisbon in 2005 and completed a family medicine residency program in 2011. He has been working in the Portuguese national health service.